Jeweler dedicated new collection to his favorite kind of art. Petersburg. Ballet. Love story. This classic, photogenic and always inspiring story became the basis of a fresh advertising campaign of jewelry brand Axenoff Jewellery. Artist-jeweler and founder of the brand Petr Aksenov has a very special delicate attitude towards ballet. It is possible to understand, seeing his collection called "Swan Lake", which will be presented this autumn. 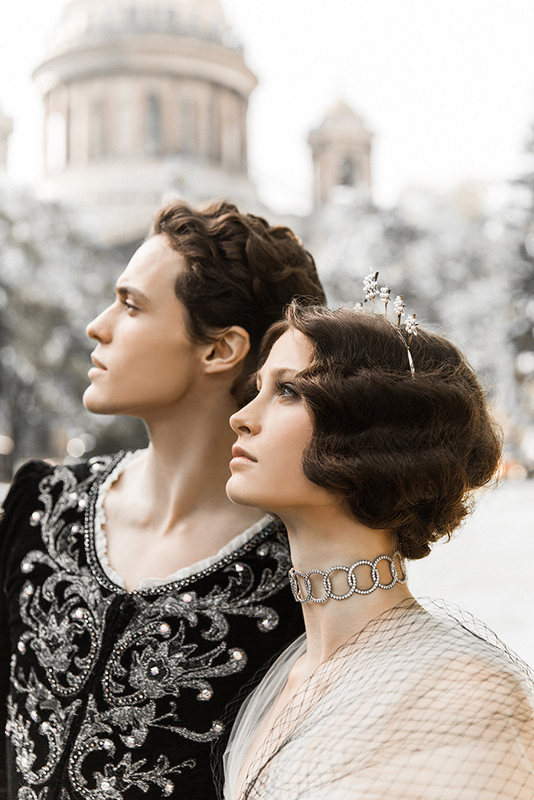 Now it's less than a month to release of the new collection "Swan Lake", so we could see the photoshoot by the photographer Sergey Misenko, who captured stars of St. Petersburg Ballet - Mariinsky Theatre soloist Alexei Tiutiunnyk and soloist of the Mikhailovsky Theatre Ella Persson against the backdrop of one of the main symbols of the Northern Capital - St. Isaac's Cathedral. Despite the fact that the focus of the survey should be obvious, the viewer's attention turned also to the Ballet costumes created for the Alexei Uchitel’s film "Matilda", which are based on sketches by the artist Nadezhda Vasilieva. Thus Petr Aksenov linked the ad campaign with his other project: it is known that all the jewelry in the movie about ballet dancer Mathilda Kshesinskaya, which will be released in 2017, were created in the workshops of Axenoff Jewellery.